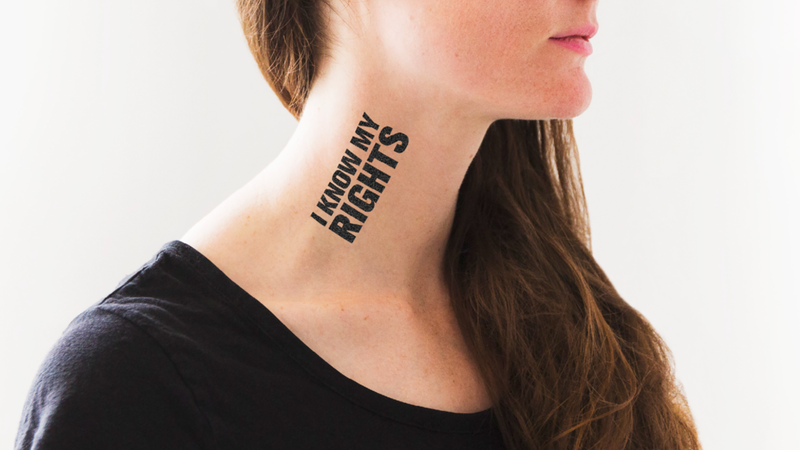 Wear your rights on your skin. 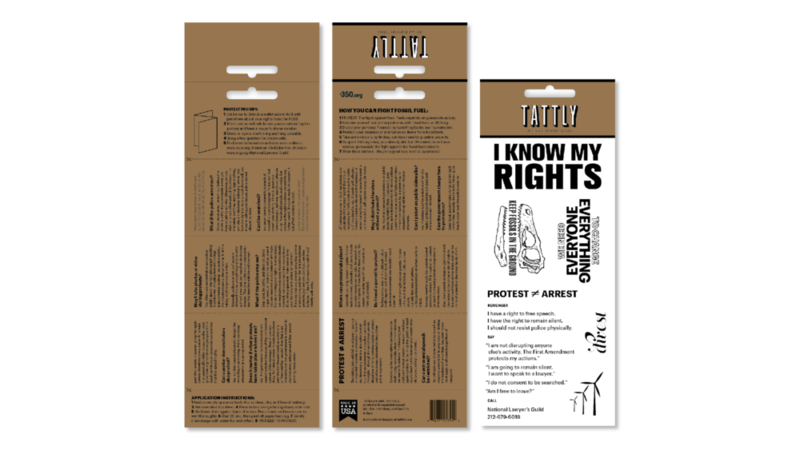 This temporary tattoo pack aims to reduce the number of unnecessary arrests at protests and encourage direct action. 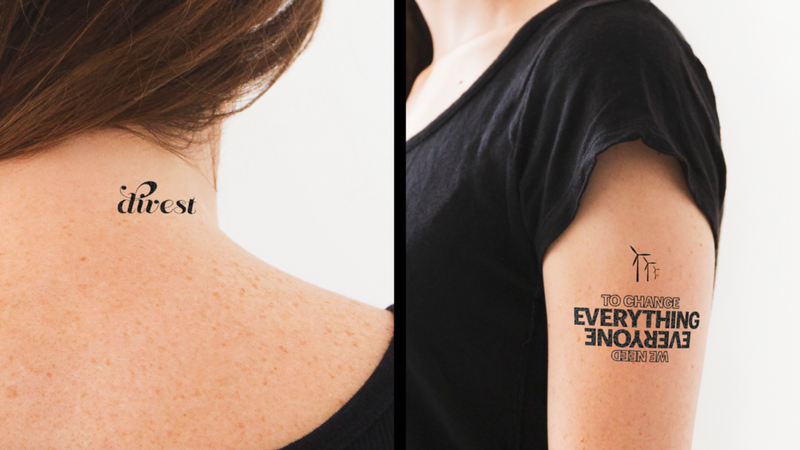 I propose this as a product produced in partnership between the ACLU and Tattly, with 350.org as the benefactor. This pack was created in response to the protests at Standing Rock, where over 550 people were arrested over the course of a few months. This overwhelmed the North Dakota court system and led to delays in trials. The intention is to create multiple packs in support of different organizations and causes. 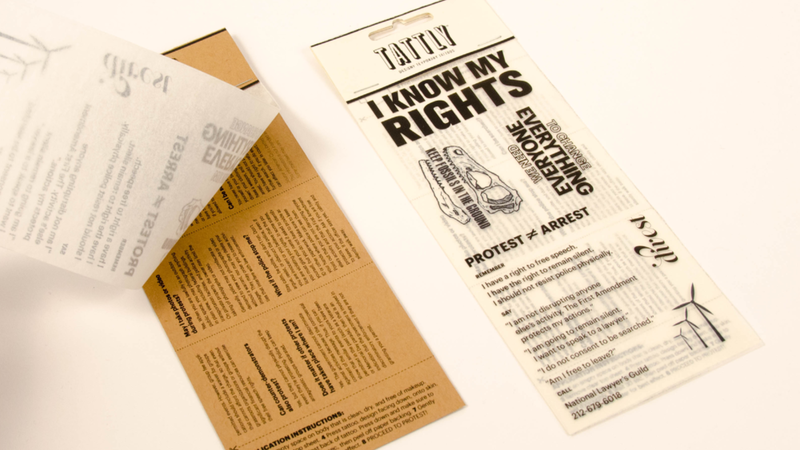 The packaging doubles as a more detailed pocket size guide to your rights, inspired by the guides the ACLU currently produces, thereby reducing unnecessary waste.